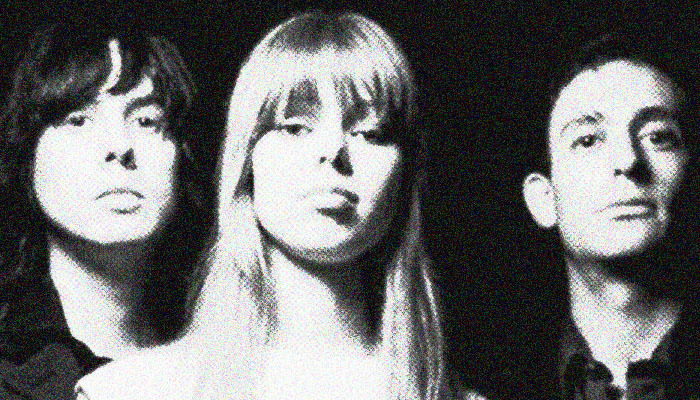 Chromatics is an indie electro group from Portland, Oregon that’s been making music for the last 12 years. Their sound is cool and cinematic, so much so that some guy on the radio this week was talking about how Nicolas Winding Refn cut his 2011 cult movie Drive to their music, though ultimately, Tick of the Clock was the only track to feature in the film. Cherry is the band’s brand new song and it may finally help them court some attention in their home country. The worry is that they may be perceived as being too cool for school, especially when we consider that Karl Lagerfeld invited them to play at the Chanel Spring Summer 2013 fashion show in Paris last month where the band was placed above the runway overlooking the catwalk, tasked with enhancing the hip factor by performing their greatest hits, hits that most people in attendance never even knew were great. Cherry is a good song, dreamy and spaced out. Lead singer Ruth Radelet is comparable to a latter day Debbie Harry, though the group’s sound is more redolent of the British electro post-punk movement that brought about bands like New Order and Depeche Mode. In that sense Cherry is classic alternative music, the kind that’s been evergreen for more than a generation. I'm wondering why I haven't heard of them before. I really liked this and will look up their other songs. Ooh, this is new to me. Thanks so much for sharing! Oh Karl. I can still how these fine music making ladies would become too cool for school; before they got huge, they went huge and played for Chanel?! I mean, these ladies sound so freaking cool that when they speak English, it comes out sounding French. You can't get better than that, can you? Decent people shop on the internet. Decent people who crave human interaction shop in stores, make eye contact, and don't let their children poop in my planter box. I can't believe I just typed that. I love the chromatics!! Probably just like everyone else I heard about them through the Drive Soundtrack!! I was actually going to say the song reminded me of Debbie Harry before I even read your post. I've been listening to this song almost all afternoon now, thanks to you. And their other songs. I believe you have made a fan of me! Look at you, changing my life!